On Saturday Panasonic Jaguar racing driver Mitch Evans scored his first win in the Formula E - and Jaguar's first since 1991! 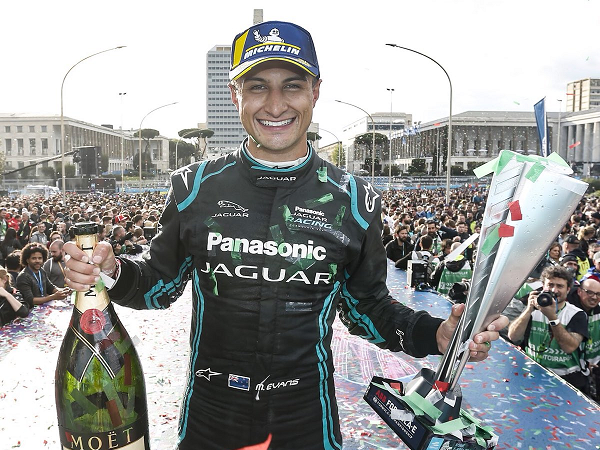 Hot off the tracks of his recent visit to the Solihull plant, Mitch Evans made history for Panasonic Jaguar Racing, claiming the team’s first ever ABB FIA Formula E win in Rome. It is Jaguar’s first international motorsport victory since 1991. Thankfully, Mitch drove confidently at the restart and managed to overtake Andre Lotterer with Attack Mode on at turn 11 for the lead of the race. Despite Lotterer activating Attack Mode a lap later, the Kiwi driver and a friend to Solihull defended well and held onto his first win in the series. 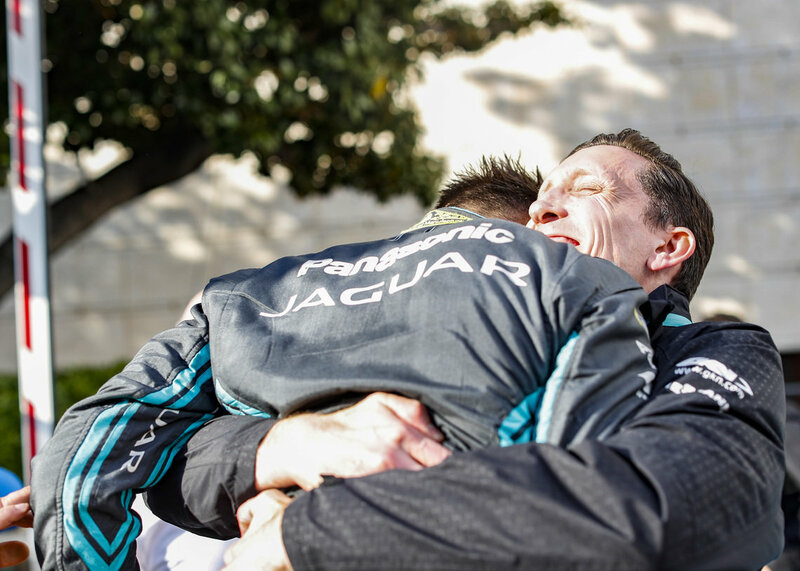 Panasonic Jaguar Racing Team Director James Barclay said of the win, “Seeing Panasonic Jaguar Racing on the top of the podium is a fantastic moment and I’m so proud of all of the team – many of whom have been here since the beginning of season three when we first entered the championship. For a long time we’ve been saying that we have a good race car and that we have good pace, it was just about getting all of the pieces together and that was the difference today. It wasn’t easy; Mitch delivered two great qualifying laps and an excellent Super Pole lap to put us on the front row. We’ve shown that if we qualify well, we can deliver great results. Mitch delivered a really mature, world-class performance today. To celebrate Mitch’s win we’re giving away ten baseball caps to ten Solihull-based colleagues. Sorry - this competition has now closed. This feels beautiful. It was a fantastic race...I’m so happy for the team, for everyone at Panasonic Jaguar Racing for all their hard work and to Jaguar Land Rover for their support over the past three seasons. This has really come at a great time.